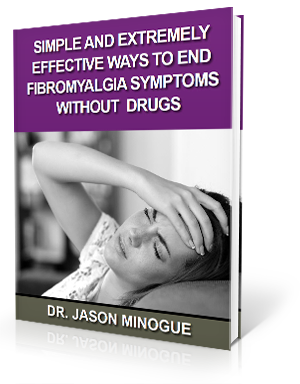 In the US alone, about 5 million people have fibromyalgia. To carry out daily activities, pain management is vital. Sleep disturbances, chronic pain, and cognitive difficult can affect quality of life for many sufferers. Anti-seizure medications - These medications, including Neurontin and Lyrica, may provide some pain relief. Pain relievers – Most doctors will start patients on over-the-counter medications such as Advil, Tylenol, and Aleve. If these prove unsuccessful at pain management, prescription drugs such as tramadol may be considered. Antidepressants –Cymbalta and other antidepressants may reduce pain and fatigue. Other medications such as Prozac may help with sleep problems. A Good Sleep Schedule – Fatigue is one of the main complaints of fibromyalgia patients. Going to be at the same time each night, not eating before bed, and cultivating a good sleep environment are important factors in care. Regular Exercise – Due to pain, many fibromyalgia patients do not exercise. Mild to moderate exercises, however, can ultimately lessen pain. These include activities such as walking, using a stationary bike, or swimming. Stress Management – Learning to manage stress can help keep fibromyalgia flare-ups to a minimum. These lifestyle changes are important for the health and outlook of fibromyalgia patients. Another important component to a fibromyalgia treatment program is upper cervical chiropractic care. Why is this the case? Upper cervical chiropractors like Dr. Jason Minogue of Houston, Texas have been able to help many who are suffering from fibromyalgia. This is because upper cervical chiropractic focuses on the C1 and C2 vertebrae, two bones vital to proper nervous system function. Properly aligned C1 and C2 vertebrae allow the brain and body to communicate properly. This can reduce pain and fatigue in a natural way without the use of prescription drugs that can cause many harmful side effects. If you are looking for natural relief of your fibromyalgia symptoms, seek a consultation with Dr. Minogue today.